Children often beg their parents for a pet. Pets have proven to be very beneficial to people, reducing depression and increasing a person's overall happiness. 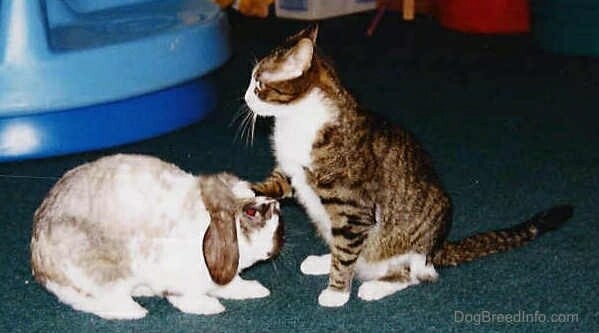 There are many different types of pets to choose from. Dogs are not always the best choice for some as they require a lot of work and attention. Having a dog can be very rewarding, but it is also a big responsibility. At times it can be almost like having a toddler run around your house. Whereas some other pets such as a fish are far less work. When a pet is adopted it should be a lifelong commitment, and not something you can just dispose of when you get tired of caring for it. One should choose their pets wisely. Do not just go out to a pet store and buy a pet without giving it much thought. Be sure you are ready for the commitment of the pet you are choosing. Do your research and you and your pet will be happier. Below is some useful information on different kinds of pets. New info is added often. 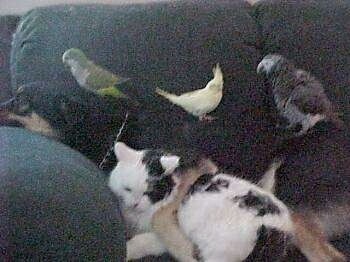 This is Buck, a German Shepherd mix relaxing with his friends (from left to right) Baby, a Quaker; Flora, a cockatiel, Scooter, an African Grey and Buttons the cat. 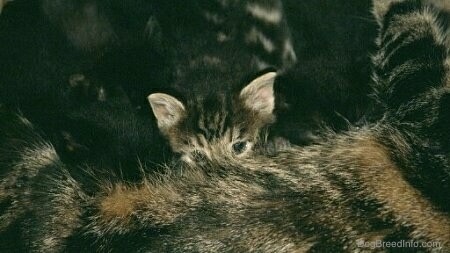 A kitten nursing from its mother.